'Shuri' #1 review: A great first issue Black Panther fans won't want to miss – AiPT! Shuri fans rejoice — this is the comic you’ve been waiting for. One of the biggest wins of this year’s Black Panther film is how flippin’ awesome they made Shuri. We were all expecting a good superhero movie, but Shuri is one of many great supporting characters introduced who has pricked up the ears of Marvel Comics, which is why Shuri is getting her own comic out today. But, is it good? Aside from giving Black Panther’s sister her own book, this is also fleshing out Wakanda’s presence in the Marvel universe. It also plays up the more robust nature of the character in the comic universe, not forgetting how Shuri was Black Panther once before, but also how she has a unique connection to the Wakanda spirit realm. As far as first issues go, this comic book hits it out of the park. 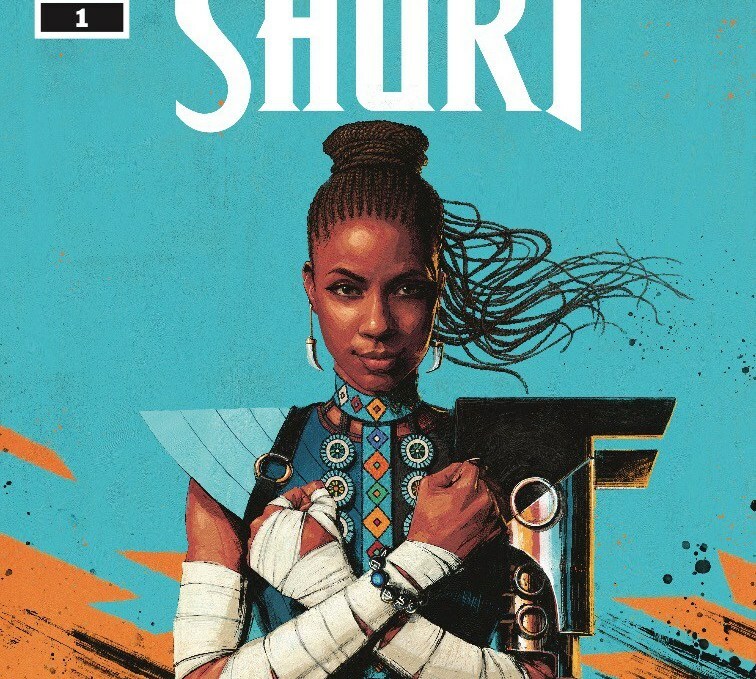 I was confident it’d pull off the introduction of the character and its main focus after it rather succinctly introduced readers to Shuri on the very first page. Right out of the gate, it explains the most important elements of the character in the comic universe, and then on the very next page dives into the story at hand. As the story unfolds writer Nnedi Okorafor sets up why Black Panther isn’t a factor, Shuri’s incredible ability to create gadgets, and an interesting spirit element that gives Shuri a unique edge in comparison to other heroes. There’s also a mystery (or even two) that is set up and the introduction of a cast of female Wakandians that develops the woman’s place in this nation in a fulfilling way. This issue also reveals Shuri’s personality quite well via great emotional acting from artist Leonardo Romero as well as a key flashback. I won’t spoil a thing here, though I will say you get a keen sense of Shuri’s ability to follow through on what she thinks is right — a key quality of any great hero. I will admit Romero’s style isn’t the conventional superhero style we’ve become accustomed to in comics, but it’s quite good at revealing characters’ emotions. The layout design is quite nice too, particularly in a scene with Shuri testing out some wings. Jordie Bellaire’s colors are quite nice (when are they not?) and they sing in the flashback and Wakanda street scenes. The art can, at times, pull you out of the story. Not every panel is as detailed as the next and there are quite a few that are pushed so closely in you lose context in a moment. This is a great start to Shuri’s first comic series and it should get new readers who aren’t even familiar with the character on board. Probably the biggest success of this issue is how it proves Shuri is a unique character well worth a longstanding series. Shuri fans rejoice — this is the comic you’ve been waiting for. Probably the biggest success of this issue is how it proves Shuri is a unique character well worth a longstanding series.